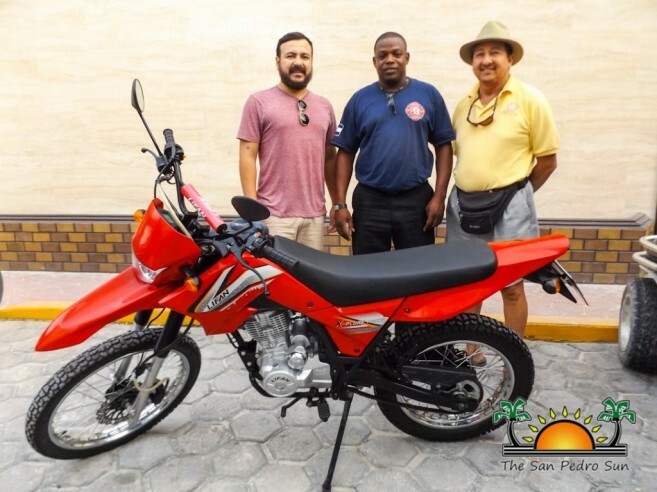 On Wednesday, December 14th, The San Pedro Town Council (SPTC) handed over a Lifan X-Plore 200 Motorcycle to the San Pedro Fire Department (SPFD). Newton Lennan, Officer in Charge at the SPFD welcomed the donation and thanked the SPTC for their continued support. Present at the handing over were Mayor Daniel Guerrero and Deputy Gary Greif. Greif, who holds the Transport Portfolio. Grief stated that the donation is another effort to address the transportation issues of the island’s fire department. He added that in times of emergencies, the mobility to affected areas will be swift and the evaluation for assistance will be better addressed. Greif also indicated that this will not be the only donation coming from the SPTC and announced that they will continue assisting in every way possible.